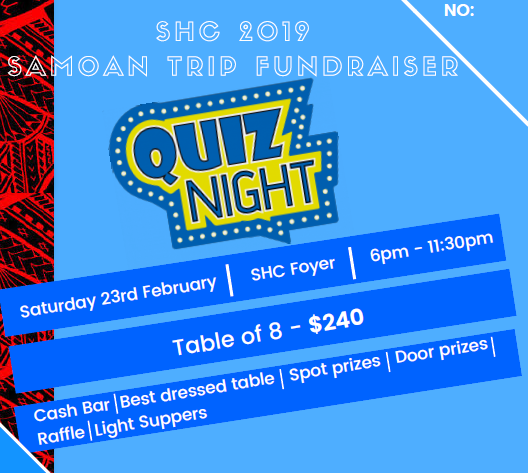 Join us for great fun and company at our Samoan Quiz Night. Purchase a table of 8 or Individual Tickets and we will allocate you to a table. Get your table dressed up. Best dressed will receive a Prize.